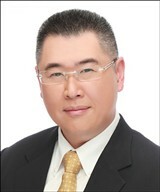 As the ASEAN finance director for Essilor Singapore, Mr. Ong utilizes his expertise in finance management and business partnerships to oversee all financial operations within his region. He manages directors in Indonesia, the Philippines, Malaysia, Thailand and Singapore. He joined the company in March 2014 and has since become an integral member of its staff. Essilor Singapore is a corrective lens designer and manufacturer that offers a wide range of corrective lenses for international clients. Founded in 1972, the company has established itself as a global leader in the field. Essilor Singapore is most known for its invention of the world’s first progressive lens in 1959. Today, the company is represented in more than 100 countries, with production centers in Europe and Asia, as well as North and Central America.